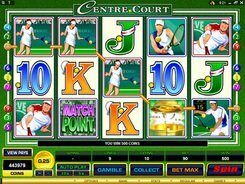 The Microgaming’s Center Court slot machine with 5 reels and 9 paylines has 36 potential winning combinations formed by matching tennis-themed symbols, including trophies, tennis balls, and playing cards. 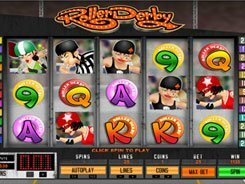 Before spinning the reels, you should place a bet of up to 10 coins per line. A coin denomination is configured within a range of $0.01 to $0.25. The golden cup is a wild symbol that substitutes for all symbols except scatters. Besides, a wild is stacked during the free spins feature. 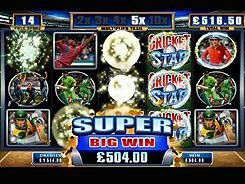 The tennis ball comes as a scatter, with 3, 4 or 5 of them starting the free spins game. 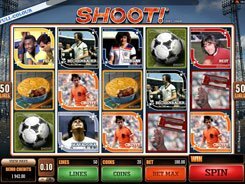 Scatter wins are multiplied by a total bet staked per spin. 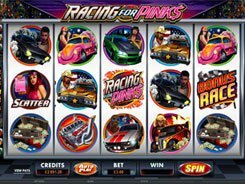 You get 18 retriggerable free spins with up to x5 times multiplier. 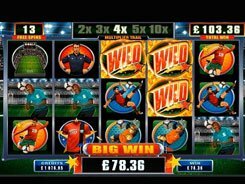 After every winning spin you can click the Gamble button to double or quadruple your award. You’ll have to pick a card color or a card suit, and the correct selection will increase your win x2 or x4 times.